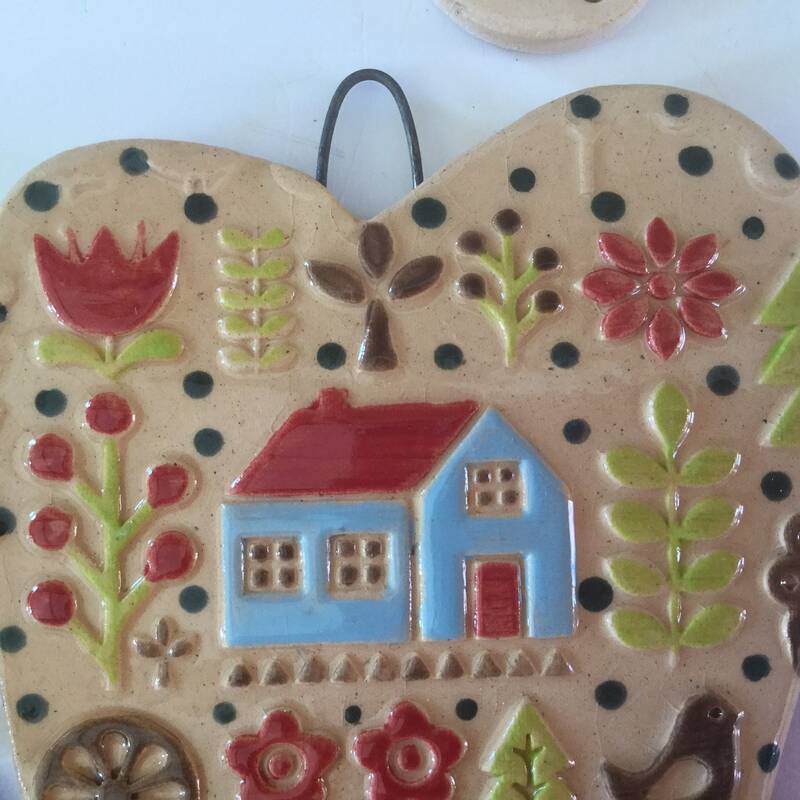 Gorgeous decorative hanging ceramic heart. Bright and colourful, intricate pattern and with stitchy detail, it has a fabric/folk art feel. Integral wire hanger. 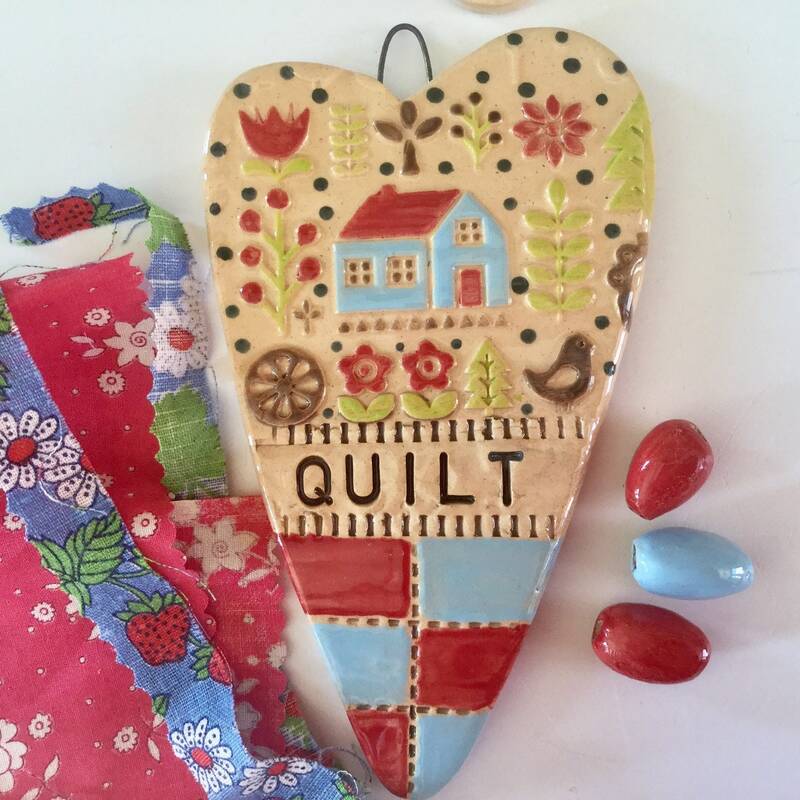 The heart has the word "Quilt" impressed into it. I cut the shape from a slab of earthenware clay and impress the patterns into the wet clay by hand. Once dried out, they are bisque fired in my kiln and then I apply the coloured glazes. They then need to be fired a second time. They each have my potter's mark on the back. 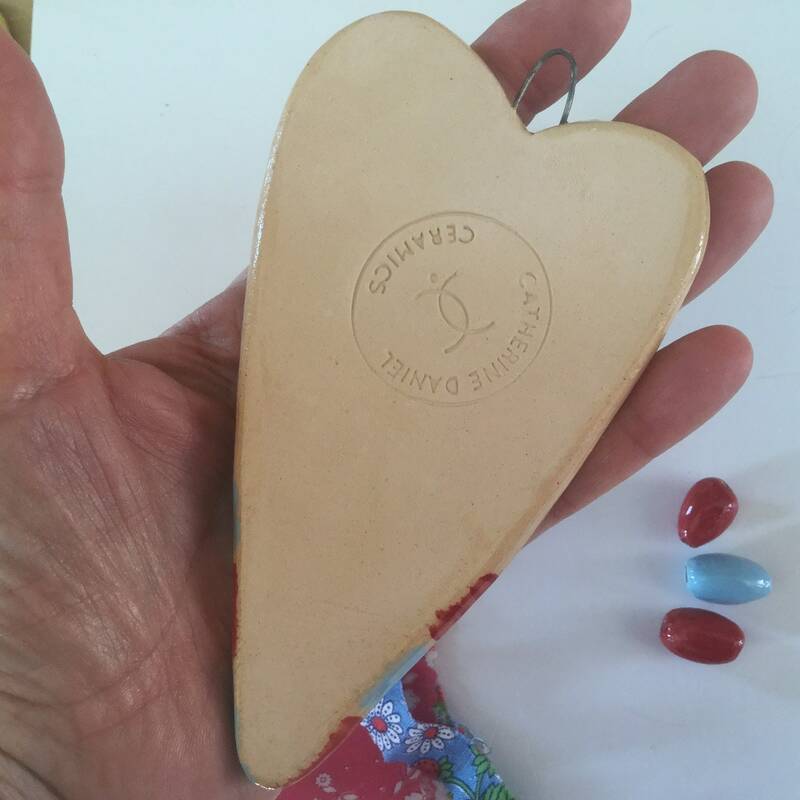 Perfect for Valentines Day, but a lovely item all year round. 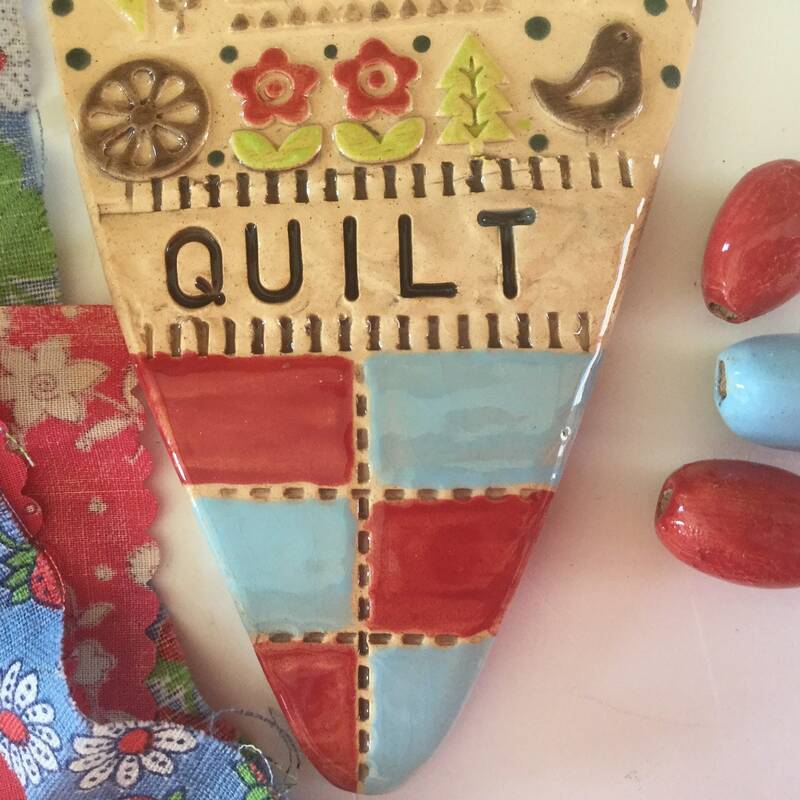 Perfect as a small gift for a quilter or sewing enthusiast.